Brushless motors -- What’s the difference? 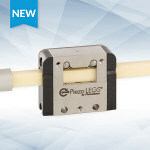 MICROMO launches the new Piezo LEGS® Linear 6N motor, also called the Piezo LL06. This new motor is the next generation of the classic Piezo LEGS® LL10 with the same piezo ceramic actuators at its core as the popular predecessor, LL10 with some major redesign work. The LL06 features an integrated high-resolution optical encoder, plus a slimmer design and options for guides that steer the drive rod. 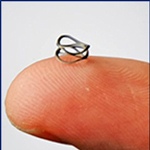 Engineers at the U.S. Army Armament Research, Development and Engineering Center have been making advancements in an initiative called "component miniaturization." The mission is to make armament systems more precise, energy efficient, scalable, and effective by reducing the size of critical components in sub-systems such as safe and arm devices, electronics packages, power supplies, and inertial measurement systems. 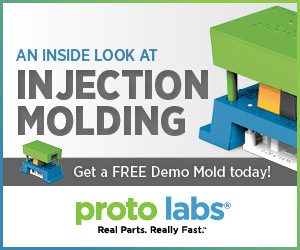 Get your injection molding demo tool today. Each year, engine and motor power increases require more powerful angle gear heads. Engineering developments in mechanical engineering, the tool-making industry, and industrial hand tools call for higher rotating speeds while smooth and easy movement of the tool is maintained. Smoother-running gears are also needed to combat dynamic noise. Apart from bearing and housing stiffness, the overall design and gear dimensions are essential for gear system optimization. Designing less conventional drones requires expertise in multiple disciplines, including control systems, fabrication, and electronics. A new system from MIT’s Computer Science and Artificial Intelligence Laboratory (CSAIL) makes the process much easier, allowing users to design, simulate, and build their own custom drone based on the specific needs they have for payload, cost, flight time, battery usage, and other factors. A routine check of the aluminum wheels on NASA’s Curiosity Mars rover has found two small breaks on the rover’s left middle wheel -- the latest sign of wear and tear as the rover continues its journey, now approaching the 10-mile mark. NASA lays out the problem, and Designfax delves a little deeper into the cause. Download the Intech Corp. paper to read how you can solve all of these problems with good polymer gear design practices. When first-timers see the Zippermast rise into the air from an unmanned vehicle, they are amazed by how high it can be extended. Inspired by the lowly metal tape measure design, the compact and super-sturdy Zippermast consists of three interlocked steel tapes that also function like a locking zipper, lifting cameras and sensor equipment up to 40 ft in the air. A small DC motor from FAULHABER provides the unique design with reliable retraction and extension, all incorporated into an amazingly small base housing. The new VersaTite Hydraulic Mechanical Tensioner from Superbolt combines the speed and uniformity of hydraulic tensioners with the accuracy of Superbolt mechanical tensioners. 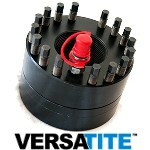 VersaTite products can be hydraulically pressurized to achieve a fast and uniform initial preload, and the achieved preload is easily controlled by mechanically applying the final torque using Superbolt multi-jackbolt tensioning. Either mechanical or hydraulic removal is possible. Application examples include gasketed flanges requiring simultaneous loading of the bolts to evenly load the gasket and any joints requiring high residual bolt loads (turbine casings, tie rods for generator and turbine rotors, slew rings). Product examples include heat exchangers, catalyst crackers, petrochemical reactors, valves, and pumps. Brushless motors are used in an extensive variety of OEM applications -- from pick-and-place equipment and robotic joints to GPS-based automated vehicle steering and pumps/fans/blowers. Do you know the difference between a brushless DC motor, brushless servo motor and brushless torque motor? 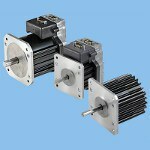 Learn more about these motors, when they’re used, and how to choose the right one for your application. Allied Motion Technologies designs and manufactures precision specialty motion control components and systems. 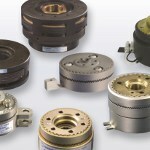 Read their article now: "Brushless Motors: What’s the big difference?" Incorporating the right clutch or brake early in the design process saves time, reduces costs, and ensures proper performance -- and every clutch/brake design project has several factors in common. The experts at SEPAC have outlined the 12 most important criteria to consider when selecting a clutch or brake for Medical Equipment Manufacturers. The paper covers issues including heat generation/dissipation, response time, alignment, torque, and voltage/current objectives. SEPAC is a custom engineering company and manufacturer of motion control products, including electromagnetic clutches and brakes. Download "Top 12 Priority Clutch/Brake Application Criteria." Take a peek behind the scenes of Boeing's factory of the future. Fuselage Automated Upright Build (FAUB) is a partnership of automation and manual work to assemble the forward and aft sections of the 777 fuselage. Teams load and set the panels, then the robots are moved in to help install thousands of fasteners to connect the sections. 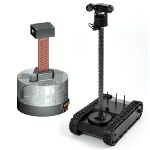 Mechanics are able to move the robots and massive parts around on automated guided vehicles (AGVs). Osram Opto Semiconductors is expanding its family of high-power infrared Oslon LEDs for illumination solutions to include a new wavelength, 810 nm. 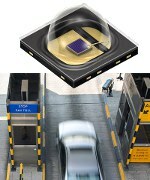 The new SFH 4703AS infrared emitter will improve the performance of inspection and scanning camera systems, such as those used to read license plates. The additional wavelength enhances image contrast, making it easier to read patterns from recorded images at any time of day. At 1 amp current, the emitter generates 1 W of optical power. With this new device, designers can now choose from mutually compatible emitters in three different wavelengths. Proto Labs has added PolyJet technology to its industrial 3D-printing service offerings. PolyJet provides product designers and engineers with the ability to manufacture elastomeric and overmolded prototypes without investing in tooling. Product developers can leverage PolyJet to create 3D-printed parts comprised of both elastomeric and rigid materials as well as multiple colors. Its material selection includes multiple Shore A hardnesses of tear-resistant Agilus 30 for increased durability. 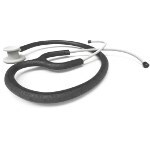 PolyJet parts exhibit smooth surface finishes and can support complex geometries with flexible features. 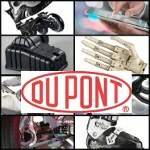 DuPont Performance Materials is getting into the 3D-printing game. The company now offers some of its most well-known high-performance materials in filament forms. Proven over decades of use, Hytrel, Zytel, and Surlyn offer high quality, reliability, and performance for various applications in a wide range of industries. Users will be able to achieve the true benefits of 3D printing -- greater design freedom, lightweighting, reduced product development cycles, and much more -- allowing for rapid prototyping, part production, and mass customization. Power tool manufacturer RUPES made a bold commitment to eliminating defects and waste on its production line while improving the work environment.